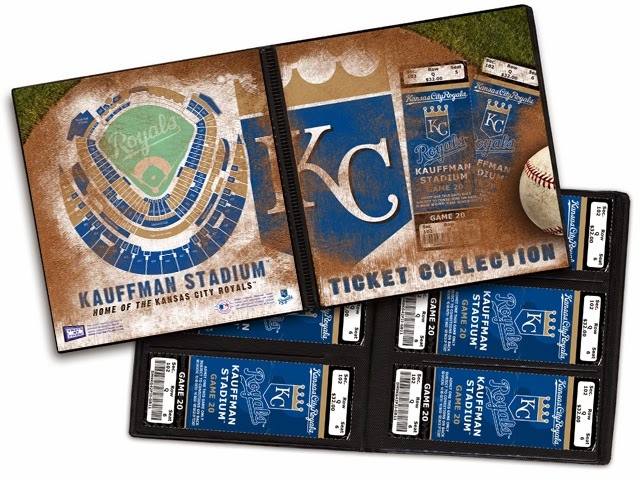 AAA Sports Memorabilia Blog: Could the Kansas City Royals Win the World Series? Could the Kansas City Royals Win the World Series? Time for a history lesson. Back in 1985, the Kansas City Royals were one of the greatest teams in baseball. While still a relatively young club formed in 1969, the Royals had eventually grown and developed to the point of being World Series contenders. Behind star pitchers Bret Saberhagan and Charlie Leibrandt, and the Hall of Fame hitter George Brett, the Royals actually powered through the playoffs that season, eventually taking the 1985 World Series in a dramatic 7-game matchup against the cross-state rivals St. Louis Cardinals. It would be the last playoff appearance for the club. Fast forward nearly 30 years and the current team in Kansas City might just be gearing up for a similar run! Against all odds and featuring a payroll budget far below what most American League contenders have, the Royals are winning, and they’re doing it by getting back to the basics. While nobody on the team is hitting at All-Star levels, they put the ball in play, and this often leads to good things happen. In avoiding strikeouts they get guys on base, and are able to move them forward to home plate. They are second in the MLB in stolen bases, proving that speed is key to winning games. Additionally, their defensive play has been impeccable, and they make fewer errors than just about anyone else. Such mistakes often cost teams, and by limiting those bad errors and mental lapses, the Royals are winning games with defense. Their starting pitching is hardly Cy Young material, but they have 5 capable starters. Ace James Shields has been his usual impressive self while fellow veterans Jeremy Guthrie and Jason Vargas also have been putting up respectable numbers. Youngsters Yordano Ventura and Danny Duffy have proven their Major League capabilities this season, and with great defense supporting them, the pitchers are benefitting from the confidence instilled by their teammates. This all adds up to wins, and that’s what the Royals have been doing recently. After a typically average start to the year, Kansas City has gotten hot in the past month, soaring ahead of the Detroit Tigers and into first place in the AL Central. With just over a month remaining in the season, it will be an absolute dogfight between these sides to determine who wins that playoff spot. Winning one of the wildcard spots is an also an option, though those 1-game playoffs are hardly guaranteed. But back to the original question of the Kansas City Royals potentially winning the 2014 World Series, we need to follow a wait-and-see approach. The current hot level bodes well. Since July 22nd, the Royals have gone 24-8 (even despite their 2 recent losses). If that form remains consistent the Royals could definitely contend for the World Series, but we must take that with a grain of salt. Lots of teams experience a hot streak over the course of a year (look at the insane 2013 run by the Los Angeles Dodgers), but keeping that momentum is tricky. If the Royals keep winning, they could enter the MLB Playoffs as one of baseball’s hottest teams, but should they enter a new slump that dream could be crushed very quickly. But despite all these lingering questions, we should rejoice in the fact that it’s nearly September and for once we are talking about the Kansas City Royals making the playoffs and potentially winning a World Series! Who would have ever thought that was possible at the start of this year? Whether the Kansas City Royals can win the World Series or not, we have a great selection of Royals sports memorabilia. Visit us often to find new KC Royals memorabilia, or any professional and collegiate team for that matter, as we add new product weekly. Our autographed memorabilia is guaranteed for life to be authentic and our non-autographed collectibles are officially licensed by their respective league. Visit us today at www.AAASportsMemorabilia.com.